There is a resilient spring mounted on the bottom of this top with added LEDs inside. 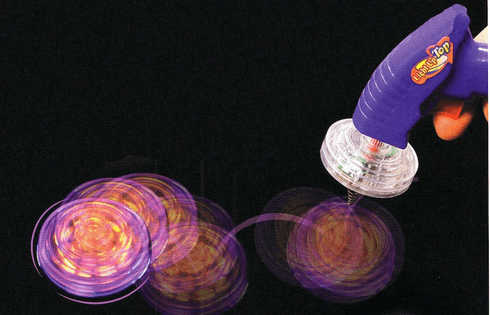 When released, it bounces, hops and spins, and at the same time, gives off a great light show! This is quite a clever item. Batteries included. Assorted colors.